Many people will have passed through the Stour Valley on their way to France by boat or train, but it is a wonderful destination in its own right. The historic city of Canterbury is the biggest draw for tourists and Ashford is a major transport hub, but there is plenty to see and do in the wider countryside, too. 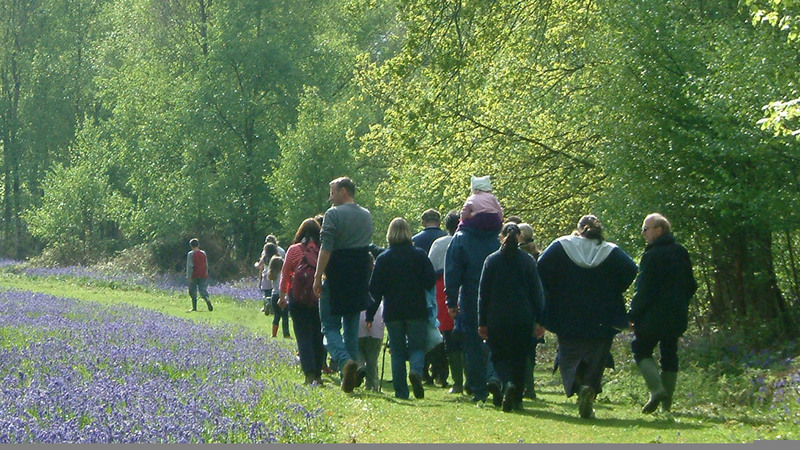 The countryside of the Stour Valley encompasses nationally and internationally important landscapes and habitats. There are many sites with good visitor access and Public Rights of Way criss-cross the whole area. National trails like the North Downs Way, Greensand Way and Saxon Shore Way pass through, as well as many local trails like the Stour Valley Walk and the Big Blean Walk. To find out more, visit or walking and cycling guides pages. There are many popular nature reserves and countryside sites in the Stour Valley. There are five national nature reserves, at Stodmarsh, Wye, Sandwich & Pegwell Bay, Blean Woods and East Blean Wood. Reculver Country Park, with its landmark towers, King’s Wood, one of Kent’s largest woodlands and Betteshanger (formerly Fowlmead) Country Park are also very popular. There are many of other small reserves and wildlife sites. For details of all these sites, visit Wild Sites. Being the closest point to the continent, the area is rich in the history of invasion and settlement. You can visit the English Heritage-owned Richborough Fort where the invading Roman army came ashore, and St. Augustine’s landing place is marked by a cross at Cliffs End. Canterbury is a world-famous historic city with the cathedral, a World Heritage Site, at its heart. There are many historic and beautiful villages in the area as well as castles, ruins and prehistoric sites. Kent benefits from excellent transport links. Two motorways, the M20 and M2, connect to the M25. Trains running from Charing Cross and Victoria stop at most smaller stations while the High Speed train from St Pancras will take you to Ashford, Canterbury and Thanet. Several coach services are available for travel from London. For local bus services visit operator websites. Accommodation is available to suit a range of tastes and budgets, from centre-of-town boutique hotels to youth centres, from quiet rural guest houses to hotel chains. Try the Visit Kent website to find out more.